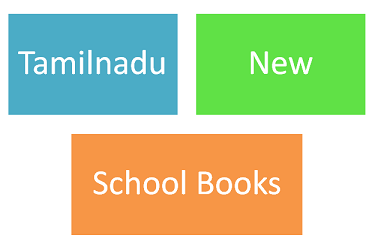 Tamil Nadu 10th/SSLC New Syllabus Textbooks 2019 – 2020: TN 10th / SSLC Online Textbooks 2019 – 2020 is updated here, students download TN SSLC New Syllabus Online Ebooks & TN 10th New Syllabus Online Textbooks 2019 – 2020 at Free PDF Download. TN Education Department has released the new syllabus & pattern Ebooks for all standards like 1st, 2nd, 3rd, 4th, 5th, 6th, 7th, 8th, 9th, 11th, 12th. We have TN School Online Textbooks 2019 – 2020 for all classes and subjects in below sections. TN government has released the Study Materials Ebooks PDF. Get TN 10th Standard Books by an online portal. Students can also download at PDF file of TN SSLC Standard Textbooks by visiting www.textbooksonline.tn.nic.in. now, the TN 10th Study Material is collected from online, students are not compulsory to carry their books for preparation. Just enter our page to get Tamil Nadu 10th Std New Online Textbooks for all subjects of Term 1, 2, and 3. The official of Tamil Nadu Education Department has prescribed and renewal the Tamil Nadu Tenth Std / 10th Std Textbooks as New Syllabus released at online mode, we collected all the official published Tamil Nadu School Books and update in our page. now, this page helps to TN 10th Students to seeking the English, Tamil, Science, Mathematics (Maths) and Social Science. Students who are download TN SSLC New Ebooks 2019 – 2020 as both English Medium and Tamil Medium by clicking the correct link given in the below sections. Keep visiting our page schools.careerspages.com to check TN 10th / SSLC latest updated based on the official announcement.